Offering you a complete choice of products which include bronze handles. 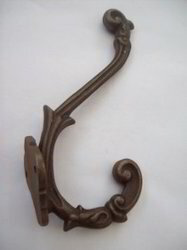 Capitalizing on our rich industrial experience, we hold specialization in providing a wide range of Bronze Handles. These handles reflect the charm of various decorative areas and other places. 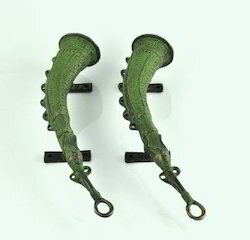 The offered handles are available in various attractive polish works and look so beautiful. With the rich industry exposure, we engaged in offering a wide range of Bronze Handles to our clients. The offered handles are used in hotels, offices, showrooms and many more places. These handles are highly appreciated by our clients due to their fine finishing and attractive look. These handles reflect the charm of various decorative areas and other places. Looking for Metal Handles ?